my most recent submission to Moda Bake Shop! 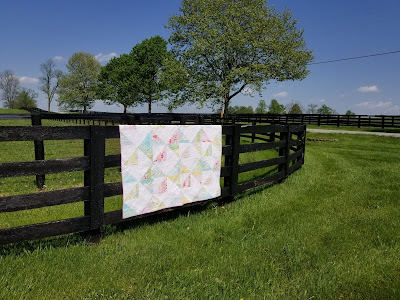 Introducing the "Half Rail Frenzy" quilt. 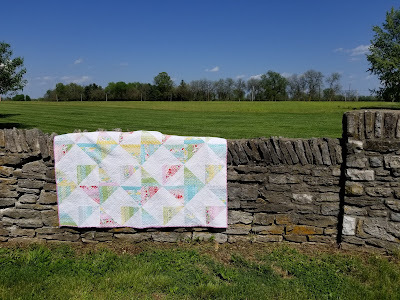 This quilt uses a traditional rail fence block with a few twists. It's a design that can easily be switched up by changing the placement of your blocks. 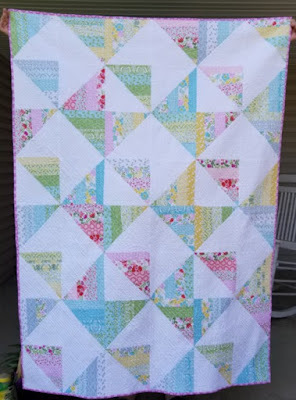 I used Kate Spain's Bungalow fabric line as well as some Moda bella solids. 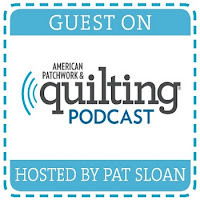 For the quilting, I did straight lines that were closely spaced. 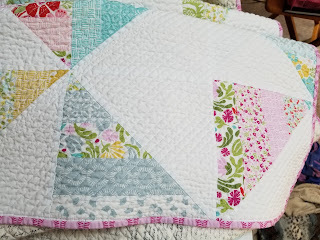 Head over to Moda Bake Shop and get all the details and find out how to make this quilt. I'd love to see your creations! Tag me on Instagram and use the hashtag #halfrailfrenzy! Thank you so much! I'd love to see pictures when you're done! !